Join us this week as we welcome Country music recording artist and United States Navy Veteran, Steve Robinson. Hailing from North Carolina, music first became a serious passion when at the age of 10 his grandfather had his guitar restrung and when he heard the way it sounded, he knew he wanted to play seriously. The Eagles “Hotel California” was the first song he learned to actually play. After completing High School at the age of 16, he then obtained early admission to the Navy via the Delayed Entry Program. Spending two years serving his country (and even some time in Iraq), Steve was proud to serve his country, but the thought of music as a career kept coming back to him. After the Navy he returned to North Carolina where he took various industrial jobs to earn his living. Between Welding, Electrical, and Farming, he became a jack of all trades. Often his work would take him on the road, but not matter where he was, he would always play music. Steve tried to record his songs a couple of times locally, but nothing seemed to be just right. He knew he needed to make a life changing move to truly take a shot at music. After meeting his manager, Steve made the move to Los Angeles where he currently resides and is is recording with Mark McKee, a new young, talented producer and songwriter. He relates “This move across the country was hard, but I knew it was the right thing to do. I will do whatever it to follow my dreams and give music a real shot.” We will talk to Steve about his upcoming schedule, get a behind the scenes look at his music, feature his latest songs, and ask him to share his message for the troops. 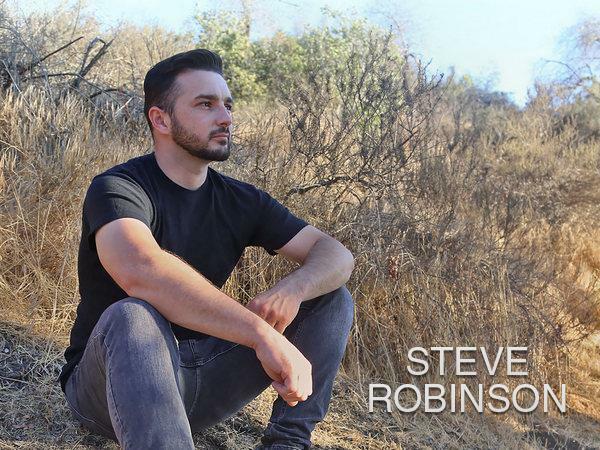 Please be sure to visit Steve Robinson at http://steverobinsonmusic.info/ and spread the word. Fans are welcome to call in and speak live with Steve during the show (718) 766-4193. Our message to the troops: WE do what we do, because YOU do what you do.